Your Photo Of The Day: Bastille Day Meets Polaroid Week : The Picture Show A photo from our Flickr group kills two birds with one stone by celebrating two historical occasions. Bastille Day is a national holiday in France commemorating the storming of the Bastille on July 14, 1798 — a critical point in the French Revolution. It's typically a celebration of all things French. This week also happens to be Polaroid Week: What appears to be an organically grown Internet movement on Twitter and sites like Flickr. 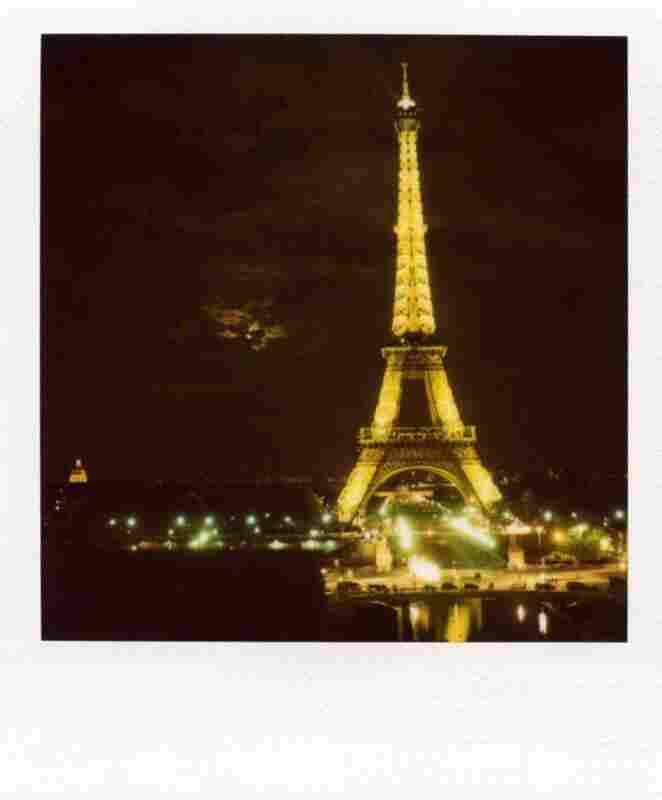 "[I took this] photo in Paris in April 2009 ... using a vintage Polaroid 680 camera. The Eiffel tower would light up for a few minutes on the hour and I was lucky enough to be in the perfect spot, overlooking the park, at the perfect moment to capture it's luminescence. The title, "La Ville Lumiere" means "city of light" in French." So, raise a baguette, pick up a Polaroid camera and enjoy the end of your week in style! "Your Photo Of The Day" is curated from our Flickr group. Submit your photos here.